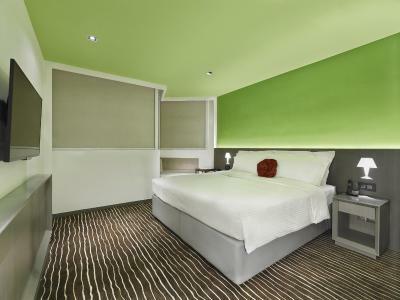 Lock in a great price for Butterfly on Prat Boutique Hotel Tsim Sha Tsui – rated 8.5 by recent guests! Good experience. Easy access to restaurants and shopping. 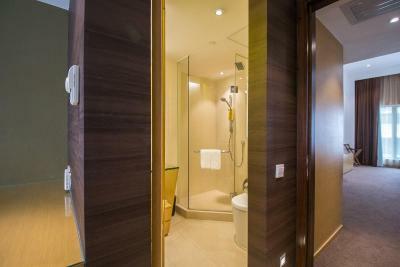 spacious room, great shower and cleanliness.. it would be nice if there is mirror in the room instead of having to borrow from reception which always not available. the pocket wifi somehow so poor in signal so i still need to buy local numbers. Tha place it convenient for everthing, place is quite i would love to stay on this hotel when i travel next time. Fantastic location and great touches like power banks. 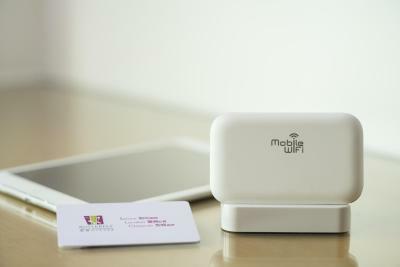 The portable 4G WiFi device, room cleanliness, staff, central location. Location is great, close to public transport. Heaps of local restaurant around. Staff is friendly and helpful. Room is clean. The location was great! The staff was very friendly and helpful. The beds could have been a little more comfy but that’s just me. 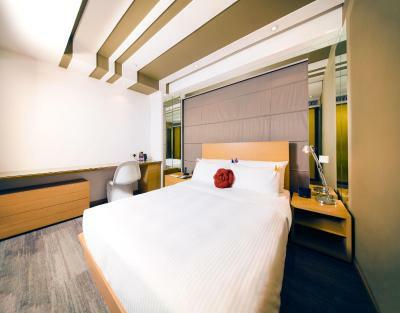 Butterfly on Prat Boutique Hotel Tsim Sha Tsui This rating is a reflection of how the property compares to the industry standard when it comes to price, facilities and services available. It's based on a self-evaluation by the property. Use this rating to help choose your stay! 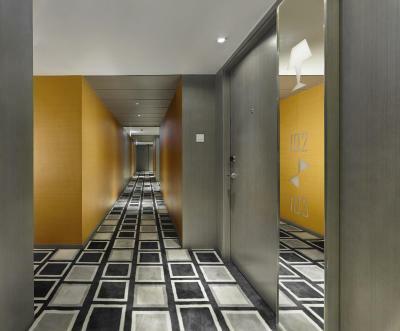 One of our top picks in Hong Kong.The stylish Butterfly on Prat Boutique Hotel is conveniently located 7 minutes’ on foot from Tsim Sha Tsui MTR Station. 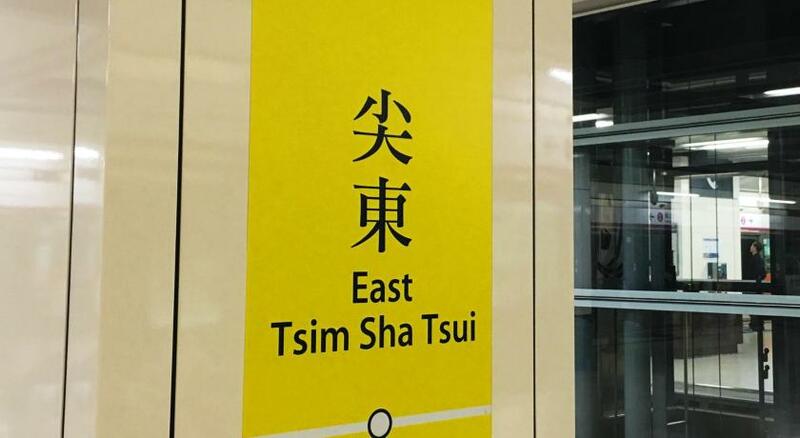 It offers a free shuttle to Kowloon MTR Station and free internet access. The property also provides guests with 4G pocket WiFi device. Butterfly on Prat is a 5-minute drive from the Avenue of Stars and a 10-minute taxi ride from Airport Express Kowloon Station. Mong Kok’s shopping and dining options are a 10-minute drive away or easily accessible via the MTR train. 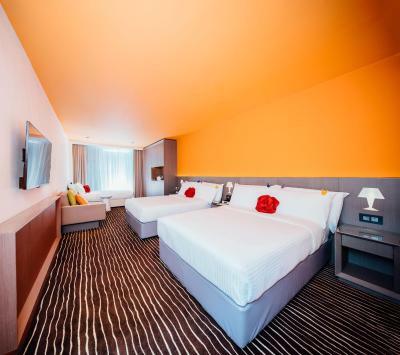 Fully air-conditioned, all rooms feature unique glass bathrooms and colorful décor. Each unit is equipped with a flat-screen cable TV and mini-bar. Guests can make travel arrangements at the tour desk. Laundry and car rental services are both offered on site. Al Dente Restaurant serves wine and Italian specialties. New Bangkok Restaurant offers a variety of Thai dishes. 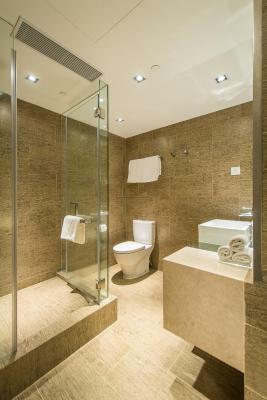 When would you like to stay at Butterfly on Prat Boutique Hotel Tsim Sha Tsui? 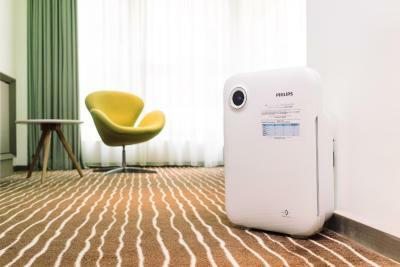 Located on the floors 6 to 18, this air-conditioned room comes with a flat-screen satellite TV, a smart device-friendly multimedia docking station and a spacious wardrobe. Free coffee/tea making facilities and free WiFi are also provided. Guest can enjoy discounts with certain shopping brands. Please refer to the Hotel for more detailed information. 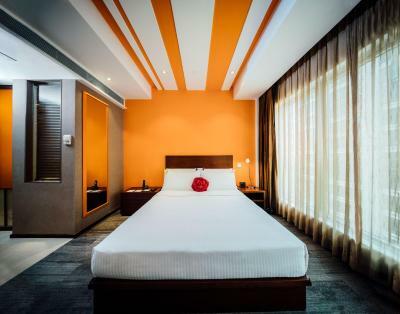 Located on floors 2 to 5 with city views, this room is fitted with an air conditioning purifier, smart device-friendly multimedia docking station, 42-inch flat-screen satellite TV, in-room safe, ironing facilities, tea/coffee making facilities, branded mattress and quality linens. The private bathroom comes with shower facilities. 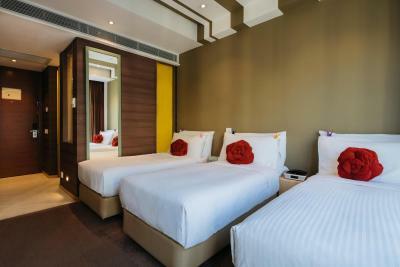 Located on floors 6 to 18, this room offers a double bed or 2 single beds with branded mattress and quality linens. Faculties include free WiFi, smart device-friendly multimedia docking station, LED television with satellite and cable channels, spacious wardrobe, stylish bathroom amenities and complimentary tea/coffee making facilities. 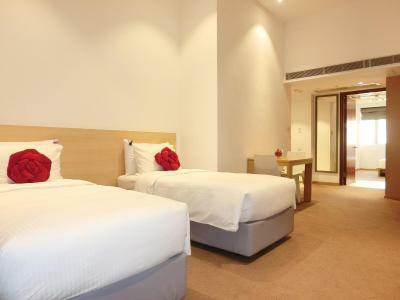 Located on floor 1 to 3, this spacious room comes with 2 small double beds (47 in x 75 in) and a free roll-away bed (36 in x 75 in) subject to availability. It can hold up to 3 adults and 2 children. The room also includes a seating area with a comfortable sofa and a pocket 4G WiFi device with unlimited local data, connecting up to 5 devices. Complimentary baby cot and children friendly amenities are available upon advance request. 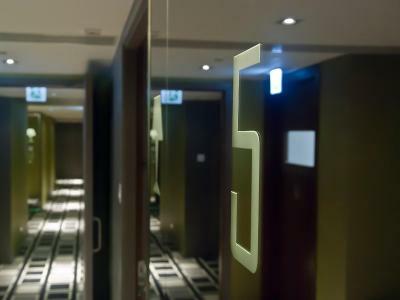 Located on floors 6 to 18, this large air-conditioned room comes equipped with a flat-screen TV, a smart device-friendly multimedia docking station and a spacious wardrobe. Free coffee/tea making facilities and free WiFi are provided. Located on the 18th floor, this large air-conditioned room is fitted with a smart device-friendly multimedia docking station, flat-screen cable TV, branded mattress and quality linens. It also comes with a pocket 4G WiFi device with unlimited local data, connect up to 5 devices. Located on floors 6 to 18, this room offers free WiFi, smart device-friendly multimedia docking station, flat-screen cable TV, branded mattress and quality linens. It also comes with a pocket 4G WiFi device with unlimited local data, connect up to 5 devices. 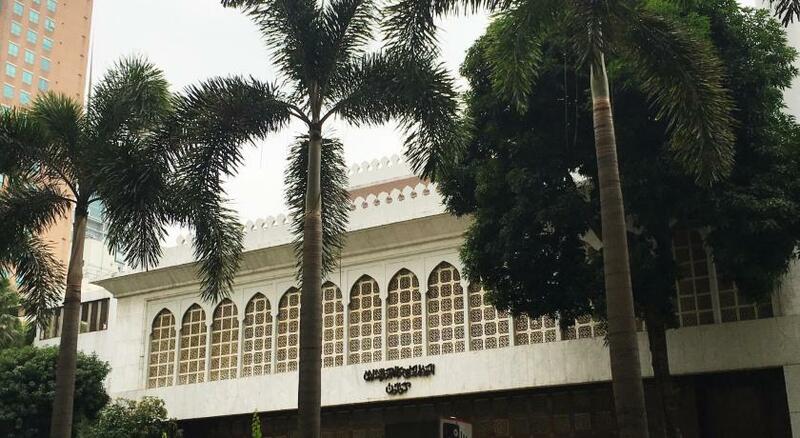 Located on floors 6 to 18, this air-conditioned room is fitted with a flat-screen TV, smart device-friendly multimedia docking station, tea/coffee making facilities and branded comfy beddings. It also comes with a pocket 4G WiFi device with unlimited local data, connect up to 5 devices. Located on floors 10 to 13 and 15 to 16, this room comes with either 3 single beds or 1 double bed with 1 single bed for up to 3 adults. Branded mattress and quality linens are provided. It also comes with a pocket 4G WiFi device with unlimited local data, connect up to 5 devices. Convenient services and assistance throughout your Butterfly Experience - includes FREE use of Handy smartphone, FREE rental of portable battery charger, exclusive shopping discounts, transportation arrangement, Ocean Park and Hong Kong Disneyland ticket purchase & more! Ask our 24-hour Front Desk for the exclusive menu! House Rules Butterfly on Prat Boutique Hotel Tsim Sha Tsui takes special requests – add in the next step! 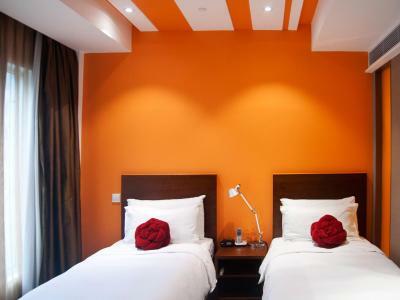 One older child or adult is charged HKD 350 per person per night in an extra bed. Butterfly on Prat Boutique Hotel Tsim Sha Tsui accepts these cards and reserves the right to temporarily hold an amount prior to arrival. When booking is made for same-day or the next day with more than 2 rooms, guests need to provide a valid credit card information while booking. Please inform Butterfly on Prat Boutique Hotel Tsim Sha Tsui of your expected arrival time in advance. You can use the Special Requests box when booking, or contact the property directly using the contact details in your confirmation. The property was within walking distance to all major transport and there were many food options nearby. The family room is a bit small for a family for 5 persons. Our kids 14,11 and 7 year old and it worked but sometimes it felt crowded. Also you can hear other people talk in the nearby rooms so the walls are a bit thin. Location was superb and the service from the staff at the hotel was great. Really friendly and helpful. Very near subway station and walking distance to food, shopping, and harbour where you can take the star ferry. Expensive, but for Hong Kong okay! Great location and good staff. My only negative is that the beds were quite hard, but I believe this is common in parts of Asia. Great hotel for a family of five. 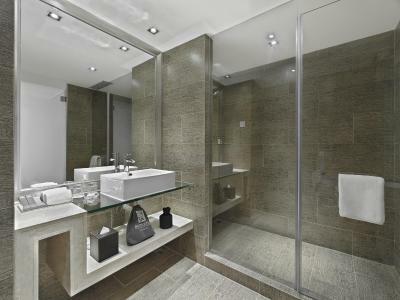 A beautiful bathroom and the best shower in the world, I am going to buy one of the shower heads! Very friendly and helpful staff, even after we had checked out. The mobile Wifi was fantastic. Very clean and our room was ready at 12.30 when we arrived which was a bonus. We left our luggage for the day on check out as we had a late flight and this was all handled very well. There were no windows in the room and ventilation could only happen via AC. Aircon did not work. We received a discount but still we need aircon, not discount. No plug in bathroom for hair dryer. No mirror in room where we had to dry our hair. Not a big deal though. Location was great. Lots of restaurants on the block which was great to grab breakfast first thing. 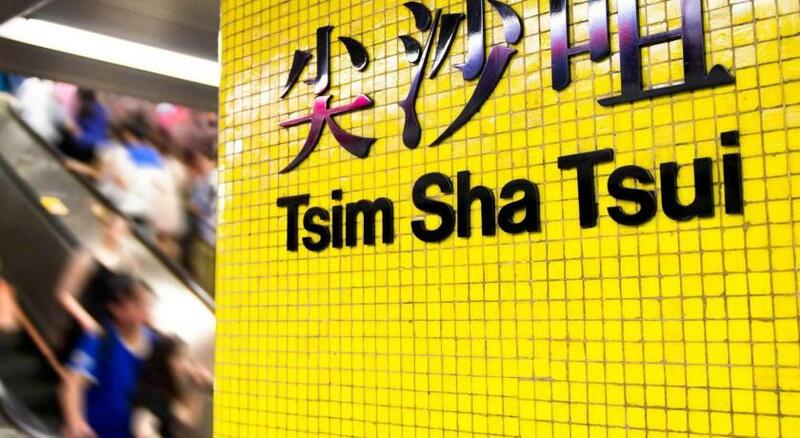 Close to TST metro station. The rest of the room was rather small, the "sofa" unstably so. Small reception area. I found cost of accommodation in Hong Kong quite expensive.